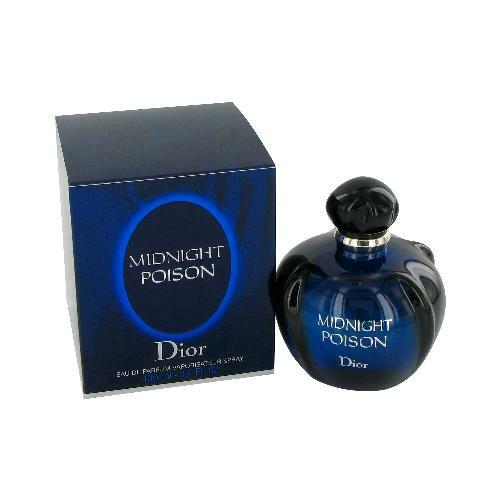 Midnight Poison by Christian Dior 3.4 oz / 100 ml Eau De Parfum spray for women. Inspired by the fairytale of Cinderella, Midnight Poison is a magical modern day Poison incarnation created by John Galliano in collaboration with Perfumer Francois Demachy and Christian Dior Parfums. The result is a sensual mix of amber, rose and patchouli captured in a mysterious midnight blue bottle similar to Dior's past Poison creations. Notify me when "Midnight Poison by Christian Dior 3.4 oz EDP for Women" is re-stocked.